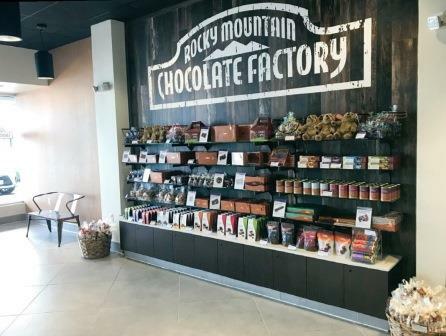 Since 1981, Rocky Mountain Chocolate Factory has become known for its amazing selection of gourmet chocolates, caramel apples and fudge - many made right in the store in one of our famous candy making demonstrations. 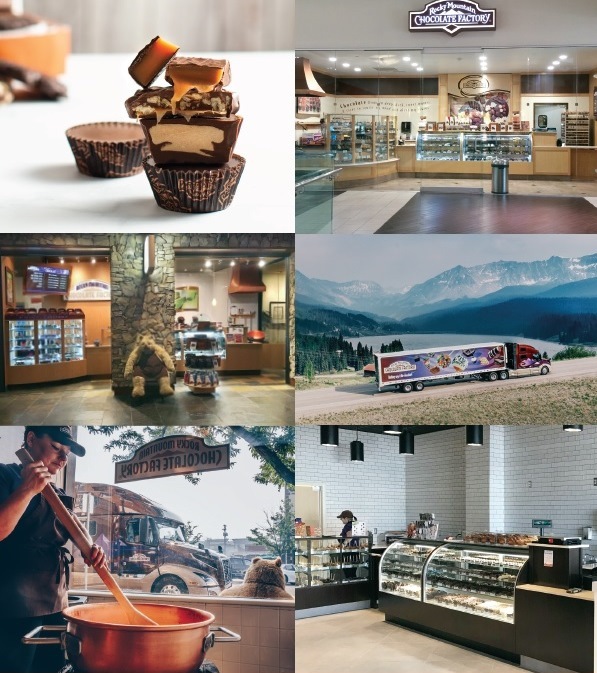 But did you know that we are the largest chocolate store chain in the nation. Plus, we were rated the number one candy franchise by Entrepreneur's "Franchise 500" several years in a row! As a franchisor, we provide a comprehensive training program and ongoing support to greatly increase your chances for success. And with our low entry cost, owning your own business is more affordable than ever! Our flexible kiosks, lease-line shops, boutique shops and cafés can be found in high traffic airport terminals, regional malls, street front, casino and resort locations throughout the U.S. and Canada. Our visually striking new concept stores feature quality fixtures throughout, designed to appeal to today's progressive shopper. Durango, Colorado. 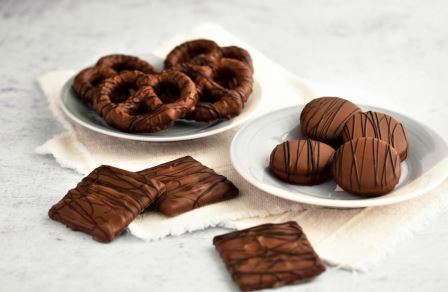 We feature a variety of packaged candies in upscale boxes and bags, perfect for gift giving, holiday time and special occasions. If you love working with people and the idea of making a product that everyone loves, this could be the opportunity for you. From full-service kiosks to mini installments, our modular concept can be configured to fit a variety of environments and budgets. 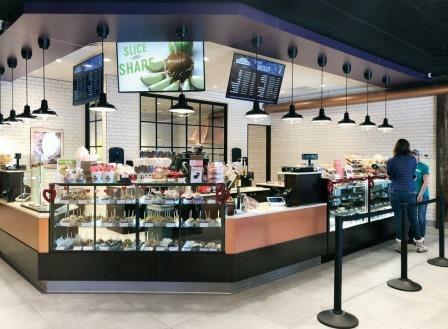 Full-service kiosks provide a complete array of products and packaging, and feature a full cooking installation, just like a full inline store. Mini kiosks offer a smaller footprint with cooking and non-cooking configurations. Dual-concept stores feature chocolate and ice cream by partnering with selected quality brands. Our streamlined lease-line configuration packs a full-store selection without a full-store price tag. A tempting array of signature products are made fresh in sparkling kitchens and attractively displayed in full view of the customer.